BERRY, NSW: Saturday December 5 @ Fairgrounds Festival. More info and tickets here. SYDNEY: Monday December 7 @ Oxford Art Factory with special guest DJ James Dela Cruz of The Avalanches. Presented by 2ser. Tickets on sale now from Moshtix. MELBOURNE: Tuesday December 8 @ Max Watts with special guests The Avalanches DJs. Presented by Triple R. Tickets on sale now from Max Watts. BRISBANE: Friday December 11 @ The Zoo with special guests Primitive Motion and Faint Spells (NZ). Presented by 4zzz. Tickets on sale now from The Zoo & Oztix. DISCONNECT FESTIVAL, WA: December 11-13 @ Fairbridge Village. More info and tickets here. Mistletone is blissed to announce the return of the legendary Mercury Rev, playing their first headline shows in Australia since 2002. 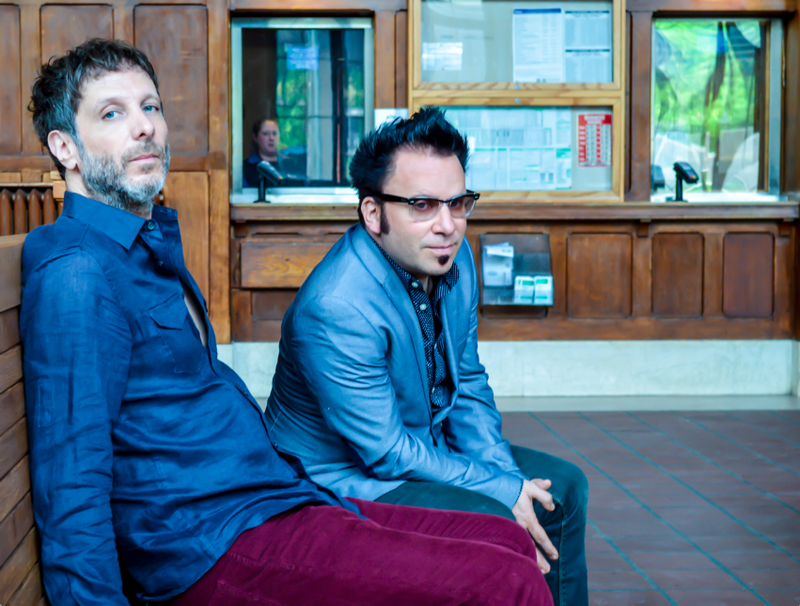 Mercury Rev’s new album The Light In You is out now on Bella Union via PIAS. Two years on, The Light In You more than lives up to its billing. The record is filled with wondrous and voluminous kaleidoscopic detail, but also intimate moments of calm, and altogether stands up to the very best that this notable band of maverick explorers has ever created. Its ecstatic highs and shivery comedowns also reflect a particularly turbulent era in the lives of Grasshopper and fellow co-founder Jonathan Donahue, of calamities both personal and physical, but also rebirths and real births (Grasshopper became a father for the first time in 2014). There’s a reason for the seven-year gap since the band’s last album, Snowflake Midnight. As well as The Light In You being the first Mercury Rev album with Bella Union, it’s also the first with only Jonathan and Grasshopper at the controls, as scheduling conflicts and travel between the Catskills and Dave Fridmann’s Tarbox studio became too great to overcome. On The Light In You, Jonathan and Grasshopper decided they were best served being based at home in the Catskills for once. Surrounded by longtime friends such as engineer Scott Petito and bassist Anthony Molina, Jonathan and Grasshopper quickly found their stride recording themselves in their own basement studio as well as venturing out into the daylight to record tracks at some of their old haunts like NRS and White Light Studios. The two even found time to arrange backing vocal harmonies and record with Ken Stringfellow at his studio Son du Blé studios in Paris. Yet from its title down, the album clearly reflects the core relationship between Jonathan and Grasshopper, best friends since they were teenagers, who accompanied each other through the musical changes, band fractures and exulted breakthroughs that has marked Mercury Rev’s career since they emerged with the extraordinary Yerself Is Steam in 1991. Since Snowflake Midnight, Jonathan and Grasshopper have stayed productive, for example with their improvised collective, Mercury Rev’s Cinematic Sound Tettix BrainWave Concerto Experiment at John Zorn’s club in NYC, creating live soundtracks to favourite films at various junctures across Europe (most recently in London as part of Swans’ Mouth To Mouth festival in 2014). There were also occasional festival shows such as headlining 2014’s Green Man festival to celebrate the deluxe version of 1998 opus Deserter’s Songs. As Grasshopper once commented about Deserter’s Songs, “It’s special because that was the one that brought us back from the brink.” The Light In You is special for that very same reason.